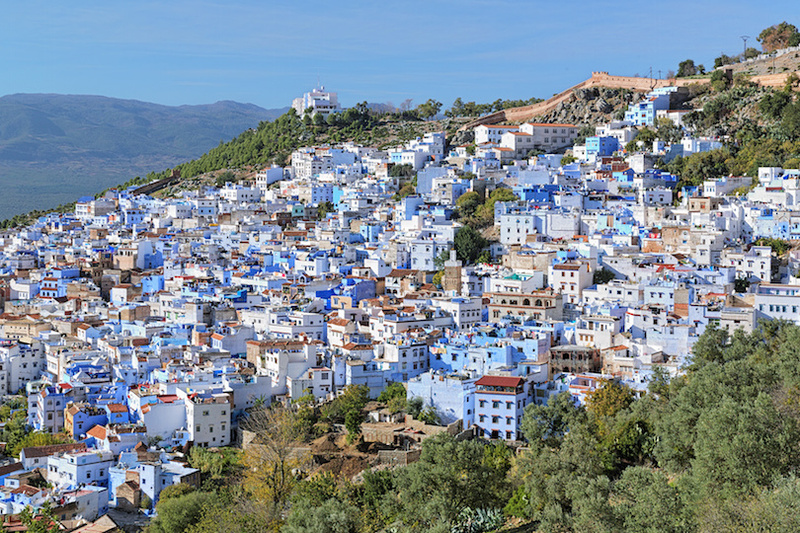 Chefchaouen may be blue, perhaps the bluest city in the world, but that doesn’t mean it’s said. 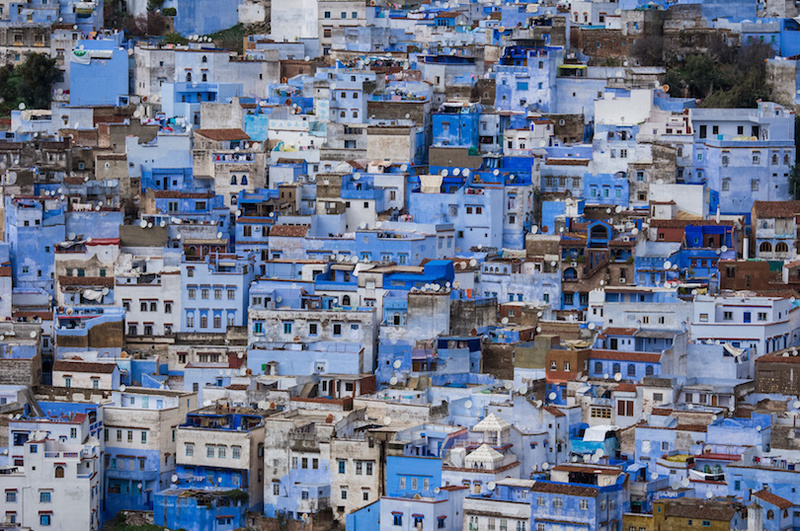 It’s because everything in this Moroccan city, from buildings to lamp posts and garbage cans, is painted blue. The city’s blueness is a tradition that dates back to the 15th century when Jews fled Spain because of the religious upheaval that was taking place. 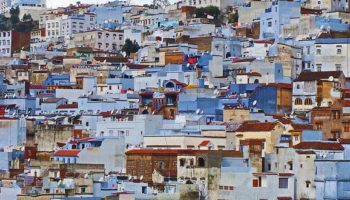 They settled in Chefchaouen in Morocco and soon began turning the city blue, starting with their own buildings. The color blue, they believed, was the color of heaven and reminded them of God. The tradition is still going strong today. Most of the city’s Jewish population moved on to Israel after World War II, but they left behind their heritage of blue buildings. The tradition is not likely to change, either, since the city government furnishes special paintbrushes to keep painting the town blue. 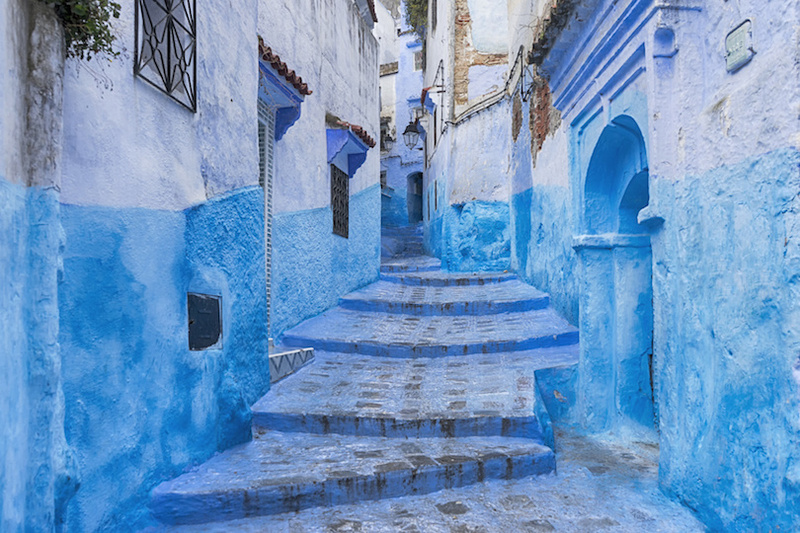 This everything-in-blue concept makes Chefchaouen one of the hottest tourist spots in Morocco. Indeed, this monochromatic color scheme is what endears the city to visitors. 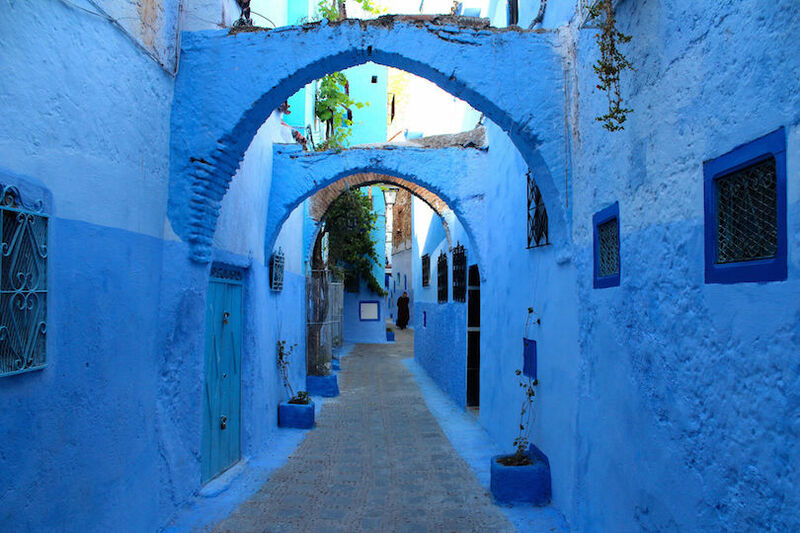 But there’s more to Chefchaouen, or Chaouen as it’s known in Morocco, that blue houses, streets and mosques. For starters, there’s the old fortress in the center of town. This city of 43,000 people was founded in 1471, with the fortress going up shortly after to protect Morocco from Portuguese invaders. You can spend a day just wandering through the old town, but this may not be as easy as you think. 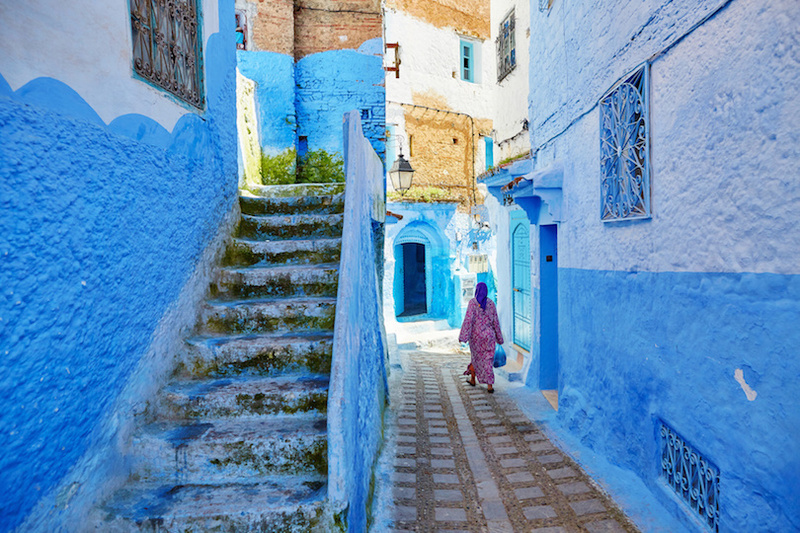 Chefchaouen is built on a hill, and visitors say walking up and down the hill under Morocco’s hot sun can be tiring; they’d all do it again, however. 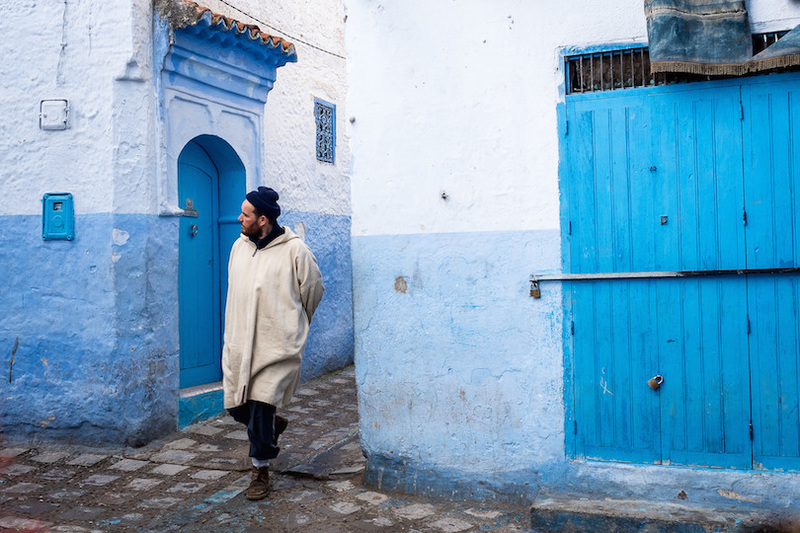 The Muslim city of Chefchaouen has several mosques that are worth a look. The mosques are less crowded than others found elsewhere in Morocco; their shades of blue make them even more relaxing. 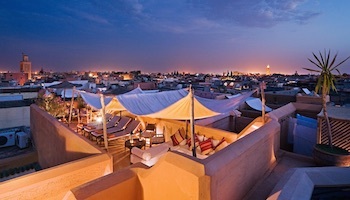 The Grand Mosque dominates Place Uta Hammam, the town square in the medina, while another is dedicated to the patron saint of the Jebalah region located in northern Morocco. 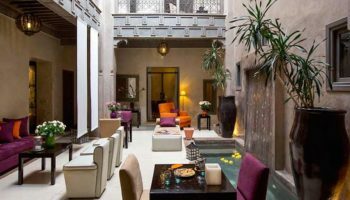 After you’ve seen the mosques, take a lead from the late French actor Charles Boyer and head over to the Kasbah, which also sits prominently on the town square. 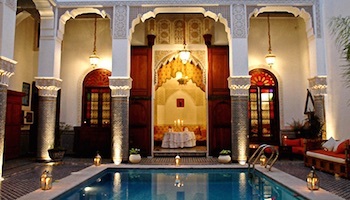 The Kasbah was once a prison but has been restored to its glory days, complete with an Andalusian-style garden. 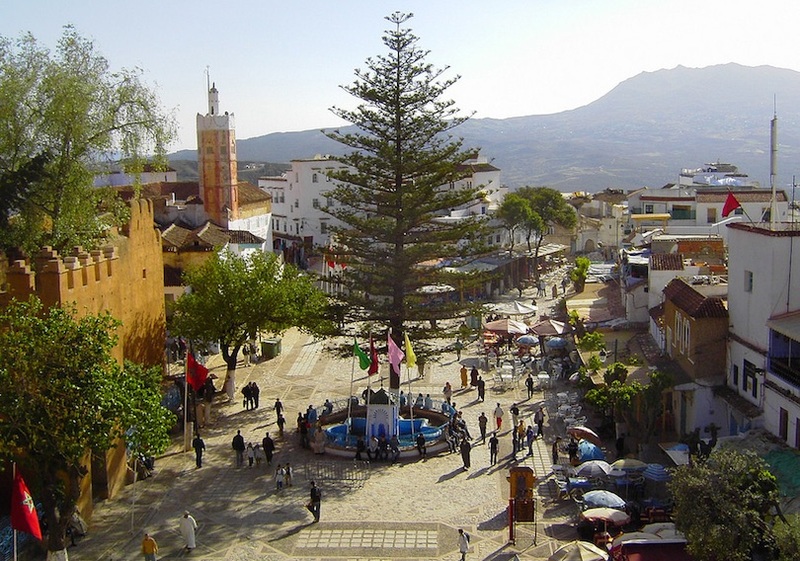 It now houses a museum dedicated to the history and life of Chefchaouen. 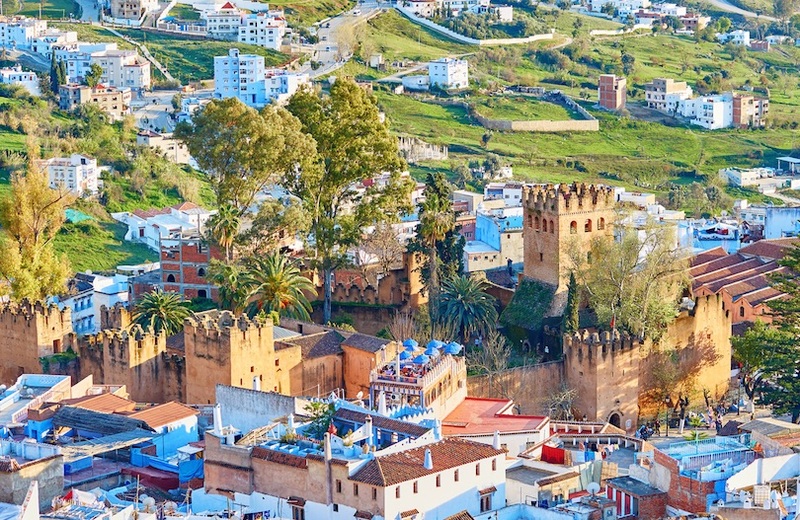 If you climb to the top, you’ll be rewarded with panoramic views of the city or you can descend to the dungeon used in the days the Kasbah was a prison. 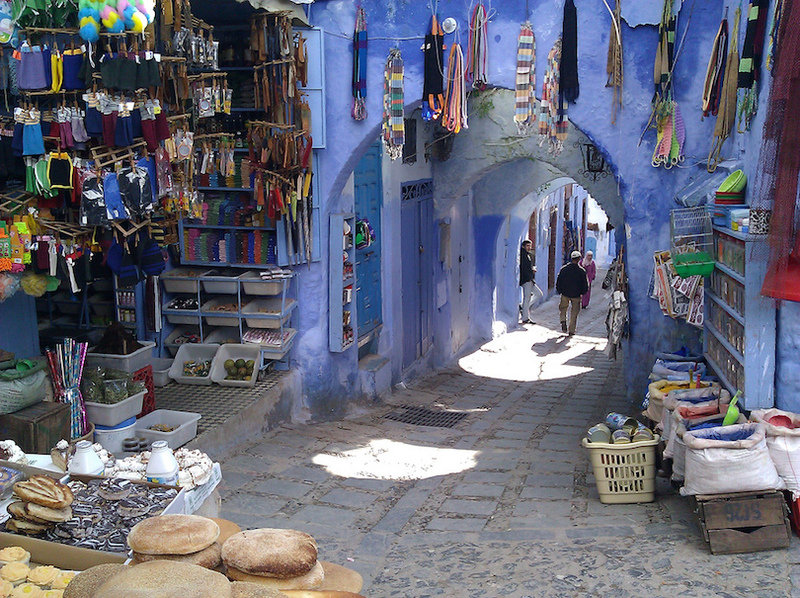 Chefchaouen’ s medina is a shopper’s paradise where you can buy handcrafts you may not find anywhere else in Morocco. 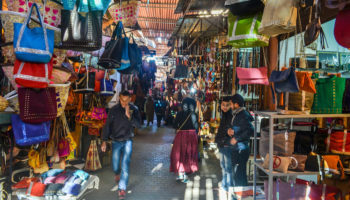 Besides wool clothing and woven camel-hair blankets, be on the lookout for jewelry, silver plates, Moroccan slippers and intricately designed pottery. Haggling over the price is part of the game here. 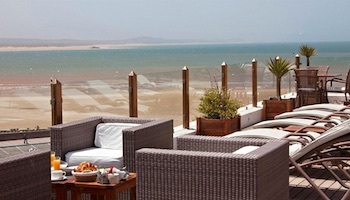 If sightseeing and shopping make you hungry, the medina is the perfect place for a meal. 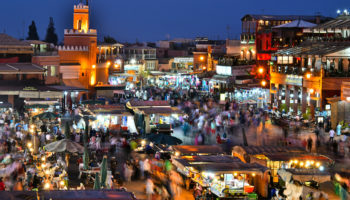 Chefchaouen is famous for its fish tagine, or stew, made with vegetables and lots of spices, all served over couscous. Pair it with some bread made in a wood-fired oven, and end the meal with a cup of traditional mint tea. 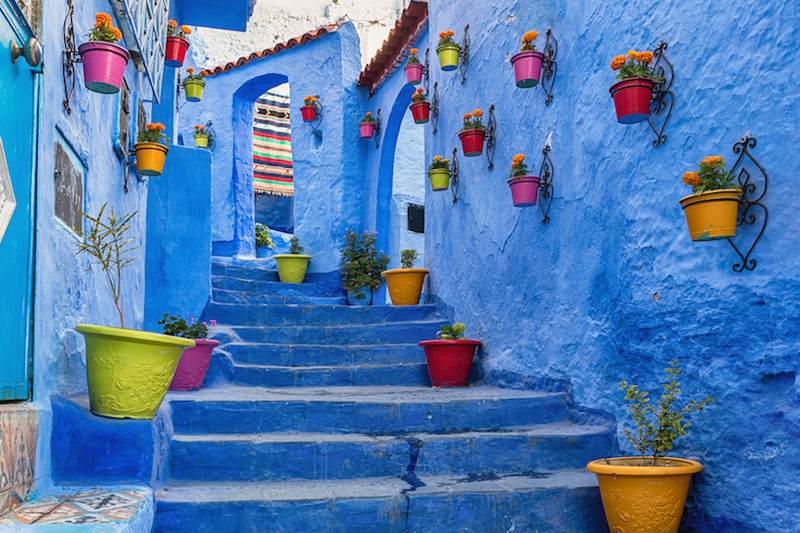 When it’s time to add a little green to your journey, heed into the Rif Mountains that surround Chefchaouen. Chefchaouen, the city and the district, gets its name from the nearby mountains because the mountain tops are shaped like two horns. 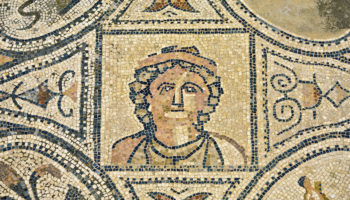 Ichaouen is a Berber word that means horns. 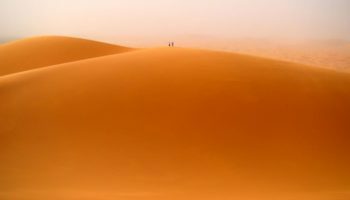 You can hike through the mountains and picturesque valleys, all in contrast to the desert just a short ways away. Whether you’re on a hike that lasts one day or several, you’ll come across amazing views to relax your soul. Chefchaouen is accessible only by car, well, maybe you might spot a camel rider or two in the distance. 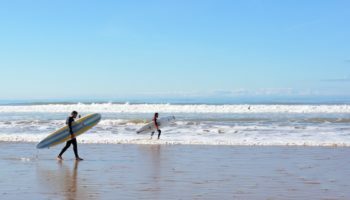 If you don’t stop en route, it takes just over two hours to drive the 115 miles from Tangier. 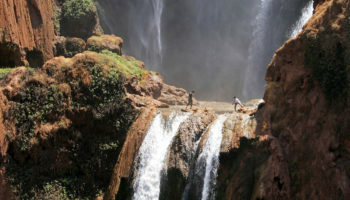 I would not recommend driving through the Rif mountains. We did it in our motor home and men & children were stoning our van. We never saw one women on the drive. The scenery was beautiful but the road was horrific. You never said anything about this area supplies about 90% of the world’s hashish. 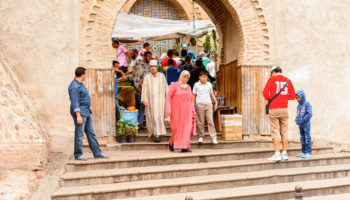 And that every vendor in the medina will try to get you to purchase a stick or two, or get you to tour the many pot fields in the area….Just thought something as important as this should not be left out of your description.